Readers may not agree with some of these fighters being labelled on a “prospect” list as such so let’s call it a list of fighters to look out for in 2018 instead. 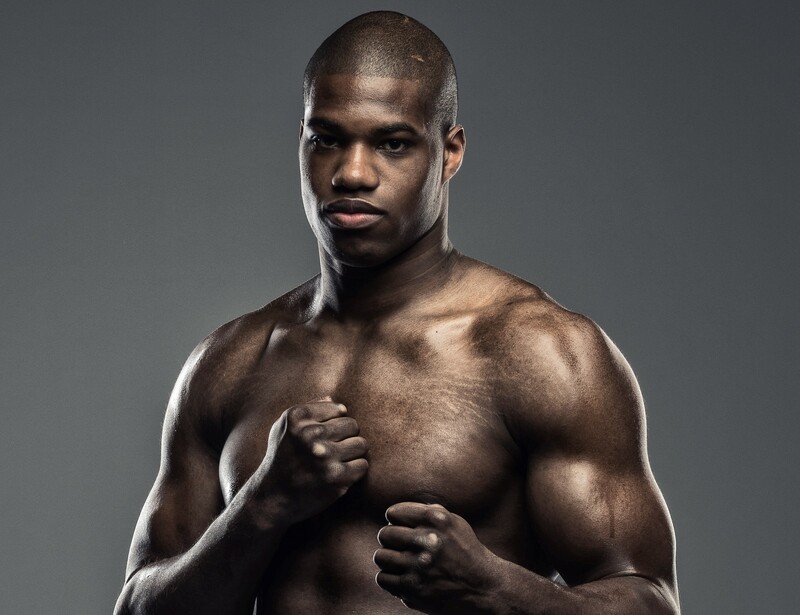 Six wins in 2017 and six fighters failing to hear the final bell – Dynamite Daniel Dubois is blazing through opponents with the minimum of fuss. Promoter Frank Warren compared inexperienced Dubois’ beating of Dorian Darch to the job Anthony Joshua had done with Darch earlier in his career. Dubois has done nothing wrong so far in his career and is only 20 years old, so expect much more from the solid London heavy. A bit of a slow burner this one but Martin, who has his detractors, is clearly a skilled operator at lightweight and just needs a little more ring activity. Last sited on the Gennady Golovkin-Saul Alvarez undercard defeating Fernando Rojo on a split decision, 24-year-old Martin did falter at times down the stretch and maybe needs to work on his ring conditioning. Prior to that win, Martin’s best victory was probably a stoppage over once-beaten Bryant Cruz. Regis Prograis took the biggest step-up in levels completely in his stride in June when he knocked out 23-0 Joel Diaz Jnr in the second round of their NABF clash. Unfortunately Prograis has not fought since then and needs to stay more active if he is to progress on to major title shots. Regis only had two fights in 2017 and two fights in 2016, but he certainly does not want for confidence after openly calling for a fight with either Mikey Garcia or Terence Crawford, before the latter dropped his belts and moved up in weight. Prograis is handled by Lou DiBella and currently ranked No 2 by the WBC and is 28 years of age so doesn’t have the luxury of two many more years to hang around before he gets a crack at the now-vacant title. Saucedo is only 23 years of age but has already racked up 26 bouts since turning pro in 2011. Born in Mexico, ‘El Cholo’ has built his base in Oklahoma but has been competing around the United States in Houston, Chicago, Omaha and beyond. All of this has built up good experience for Saucedo whose best win came in his most recent outing, when Gustavo Vittori was dispatched in the third round of a minor title clash in November. This 19-year-old talent is promoted by Golden Boy and expect Oscar De La Hoya to be taking a keen interest in his progress over the next few years. Garcia defends his NABF crown against Noe Martinez in Canada this coming weekend (on the Saunders-Lemieux undercard) and a good win will set up a big 2018 for the Californian. Last seen knocking out a French opponent on Wednesday evening, Kelly has been receiving a fair few plaudits of late. Promoter Eddie Hearn is already heaping the praise on Josh, likening his style to that of Vasyl Lomachenko and opining that Kelly possesses the same sort of ring “genius” as the great Ukrainian. Eddie loves a touch of spin so that has to be taken with a pinch of salt given that Kelly has only taken part in five pro contests, but the 2016 Rio Olympian certainly has ability. This 23-year-old Puerto Rican prospect has been building a steady resume since turning pro in 2013. A knockout win last week over late-replacement opponent Bryant Cruz was impressive in the way he broke down Cruz who, despite coming in at short notice, had mixed with a reasonable level of opposition. Bob Arum promotes Diaz so opportunities shouldn’t be too hard to come by for the talented super-featherweight.